festival season in Wilmington kicks off this month. As the winter doldrums are shaken away, the city is alive with ethnic celebrations and music events that are sure to get your summer off to the right start! from Tuesday, June 7 to Saturday, June 11. 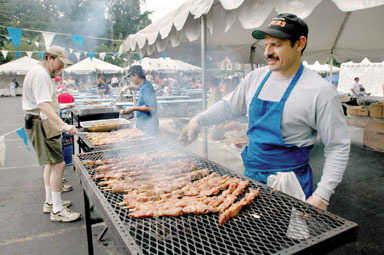 The annual event is a true celebration of the Greek culture with authentic food, music and vendors. The parking lots around Holy Trinity Greek Orthodox Church will come to life with sounds of Greece and the smells of the dishes native to the country will fill the surrounding blocks. The festival will also feature some vendors selling goods from Greece or crafted in the Greek tradition. Those working in downtown Wilmington can take advantage of a daily shuttle that will bring folks to the festival site for lunch. The low down on the event can be found at www.holytrinitywilmington.org. 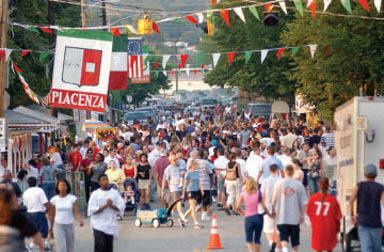 St. Anthony of Padua’s Italian Festival continues the festival season from Sunday, June 12 to Sunday, June 19.
will be transformed into a touch of the “Old Country” mixed with “new world” amusement. Italian tunes will blend with contemporary beats as several music stages throughout the event footprint have varying artists performing. The tastes of Italy will be available at multiple cafes and streets, goods, and signs will be splashed with the red, white and green color theme. The theme for this year’s week-long festivities is The Splendor the Renaissance. The Florence and Tuscan regions will be celebrated with a Renaissance Garden, Il Mercato selling goods from that area and a Bellini Bar called DaVinci’s. 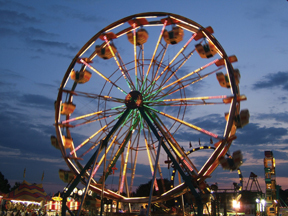 In addition to the celebration of Italian culture, the festival will feature amusement rides and carnival games. 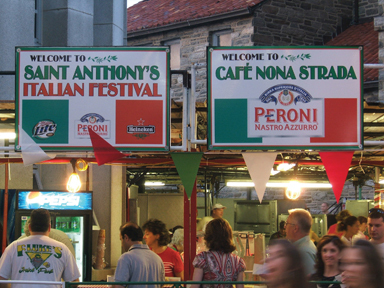 Visit www.stanthonysfestival.com for more details. Jazz fans will be excited to welcome back the DuPont Clifford Brown Jazz Festival on Monday, June 20 to Sunday, June 26.
to downtown Wilmington in Rodney Square for the week-long music celebration. In addition to the large stage, which will be the platform for some of the greatest jazz musicians in the nation, the square will also include food vendors, t-shirt sales, and thousands of jazz enthusiasts. For more details and a full lineup of talent, visit www.cliffordbrownjazzfest.com. Tubman Garrett Park on the Wilmington Riverfront will revert to the days of pirates and treasure hunts as the Wilmington welcomes a new event this summer with the Kalmar Pirate Festival on Saturday, July 9 from 11 a.m. to 5 p.m. 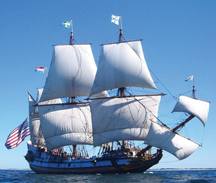 The event will take place on the riverfront with the Kalmar Nyckel, Delaware’s tall ship, and her little boat, Little Key. The Marcus Hook Plankhouse Crew and Recreating History, as well as the In Kids Coalition and other groups will be on hand for the event. It will feature ship deck tours, pirates, face painting, treasure hunts, pirate musicians, ornamental knot lessons, balloon swords, build your own treasure chest, and more. Live music will take center stage as well as a pirate parade, toy boat building, a costume contest, and things that go boom. For more details, visit www.kalmarnyckel.org. Hot summer days and nice cold beer seem to go hand-in-hand, so another new Wilmington event will be perfect for the heat of July. Wilmington Beer Week will be held Saturday, July 9 to Saturday, July 16. Restaurants throughout the city will participate with special menus accompanied by beer selections as well as other events that celebrate the craft beer offerings in our region. For more details, visit www.wilmingtonbeerweek.com.